“Dinner at the Depot” takes place in downtown Kennesaw every Monday evening (weather permitting) May through September. 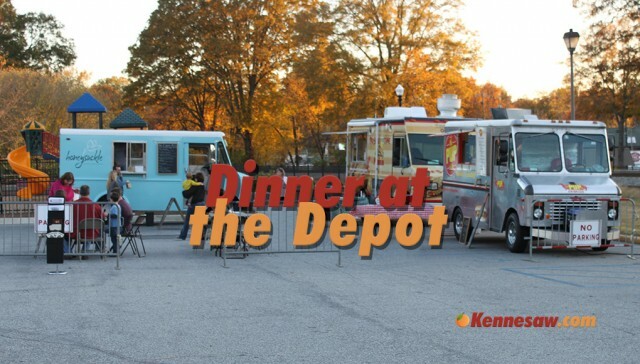 Dinner at the Depot features live music and a variety of food trucks. The event takes place in Depot Park on Cherokee Street across from the Southern Museum from 5:30 pm to 8:30 pm. Grab some food to go or stay to enjoy the music and a picnic in the park. 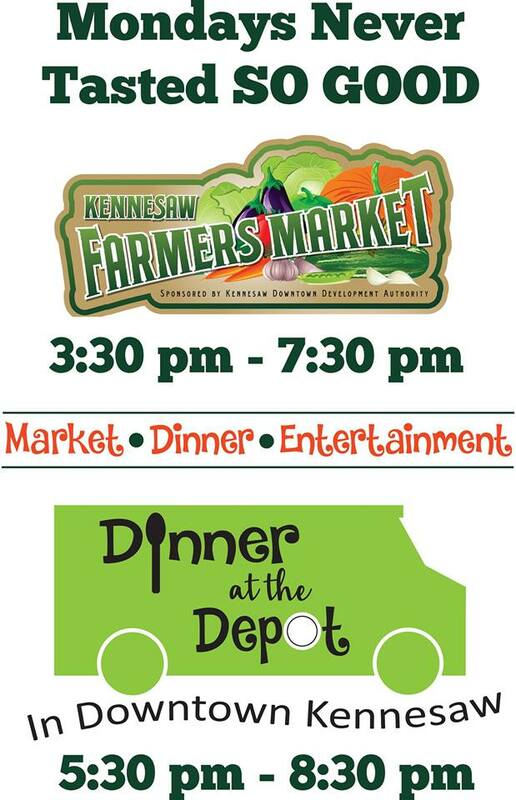 Also, the Kennesaw Farmers Market (3:30 pm to 7:30 pm) joins Dinner at the Depot (5:30 pm to 8:30 pm) at Depot Park. Check the Facebook page for late breaking weather cancellations. For more information, please contact the Kennesaw Downtown Development Authority at (770) 794-7075 or visit the Dinner at the Depot Facebook page at https://www.facebook.com/Dinner-at-the-Depot-170819866333868/. My family and I attended Dinner at the Depot a couple of weeks ago. We enjoyed it so much, we are planning to attend again this evening (weather permitting). This is a fabulous idea and a fun way for a family to eat out with many choices to please different tastes!!! My family and I are excited to try the food from the new Happy Belly truck. They are a new local business that I’ve heard great things about! $10 says this is the owner of Happy Belly truck. We are looking forward to enjoying the evening in Kennesaw. What a great idea for dinner on a weeknight! Hey…don’t forget that “KING OF POPS”, is GOING to be there too. Thanks for the comment – we updated the list of participating trucks. I LOVE Dinner at the Depot. What a fabulous idea. Happy to see some new trucks there this year too. I work at the Humane Society in Cartersville and Mondays are high stress, exhausting days. So nice to be able to stop at the Depot for dinner on my way home so that I don’t have to think about cooking that night but don’t have to go the junk food route either. I have been spreading the word. And thanks for bringing in the Mighty Meatballs truck too. Hi Jan, Let me just say You Rock!!!!! I have helped with transports in the past few years, and you are an amazing woman!!!!!! 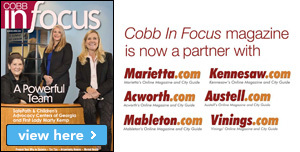 i would like to know how to become a vendor at Downtown Kennesaw. So excited to attend this Monday night!! Experienced Nana G’s at a private party and have been talking about them ever since!!! Can’t wait for Nana G’s Chicken n Waffles Monday night! 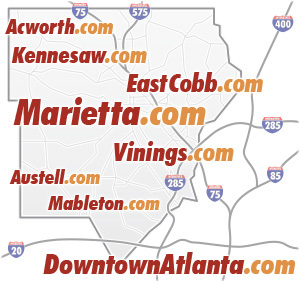 Don’t forget Fatty’s of Atlanta will be there! Looking forward to coming by with friends!! We miss the Mighty Meatballs food truck! Please, please bring them back. I love community events like this and really enjoyed how they do it right next to the playground so it becomes a very family friendly event. My only complaint is there is no shade whatsoever – not even over the tables where you eat, so we just baked in the hot summer sun. It was just too hot for us, and it was only in the low 80s. It’s only going to get worse, so we probably won’t go back. Just add some tents and we’d love to return! The Kennesaw Mountain High School Mustangs will be kicking off the 2013 Football Season on Monday, August 5, 2013 at “ Dinner at the Depot” with a pep rally and a chance to “meet the Mustangs”. The entire community is encourage to come out, grab some great food and meet Head Coach Andy Scott, his coaches, the mustang football players and cheerleaders as we celebrate what is going to be an exciting season for Mustang Football. Happy Belly has amazing food! We had them come to our work during the summer and there was always a line. Love yhe roasted brussel sprouts! Hello there. Dinner at the Depot sounds like a great thing to check out. I have a few questions if anyone can share the answers. 1. I noticed in the photo that there is a table and chairs set out. 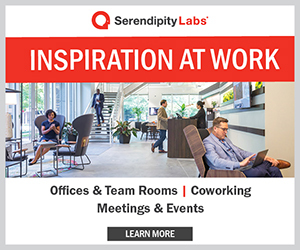 Is there a good amount of “table seating” available? 2. Are the food trucks “Cash Only” or do they accept credit? Looking forward to trying it out and wanting to come prepared:) Any answers to my questions would be greatly appreciated.